Need to hire a cart? 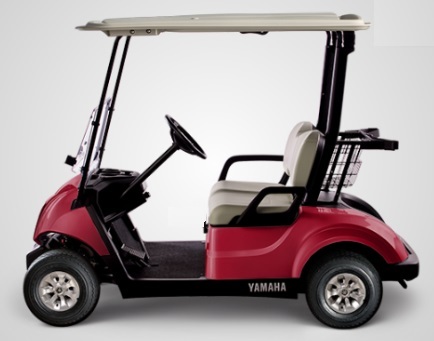 Yamaha's leadership in production, marketing and superior engineering of power products has assisted in its golfing and utility carts' reputation as being the most reliable, durable and toughest vehicles on the market. To find out what professional's have to say about Yamaha Carts please click here. You can find more information about this cart here. Most powerful 48-Volt system in the industry. with the most powerful motor in the industry, state-of-the-art regenerative braking, a PDA based diagnostic and programming system and six 8-volt Trojan batteries with watering system (not for PTV). Also available in AC offering all the power and strength of a petrol cart with rapid acceleration and smooth uphill climb while prioritizing energy efficiency. An upgraded model with LED head and tail lights, USB ports and 10 inch wheels. See more here.